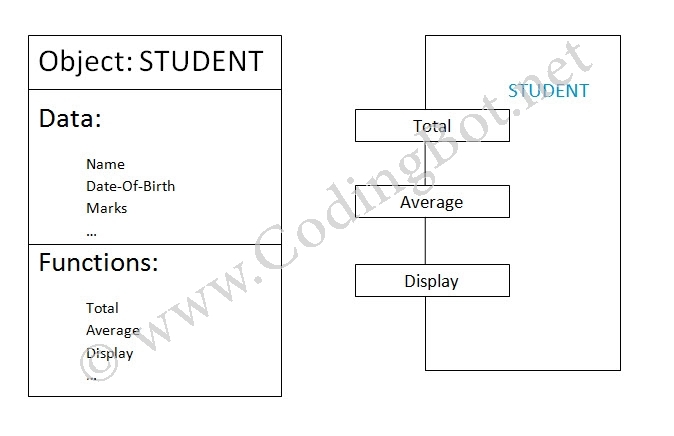 As I have already discussed in my previous post, what is Inheritance and its different types in C++, so today we are going to discuss about its first type, that is, Single Inheritance. 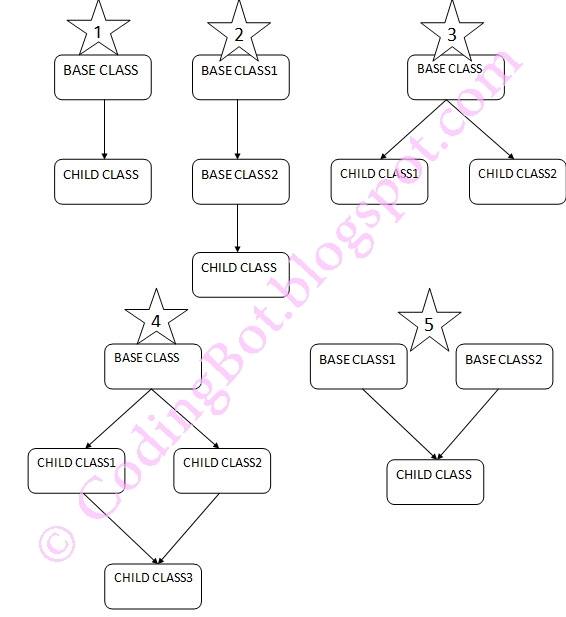 Let us consider a simple example to illustrate Single Inheritance. 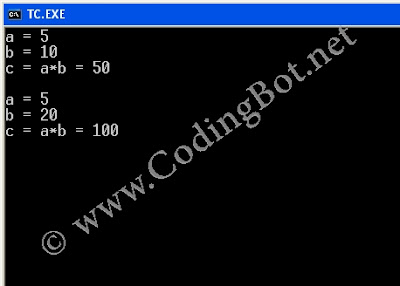 The following program shows a base class 'B' and a derived class 'D'. Both have a private data member each, integer 'a' and integer 'c' respectively. Base class has a function to assign values to its data members. Derived class inherits from base class and its function then calls data members from base class. Then the logical operation is performed and the result is displayed. Shell sort is an in-place comparison sort. Donald Shell published the first version of this sort in 1959. 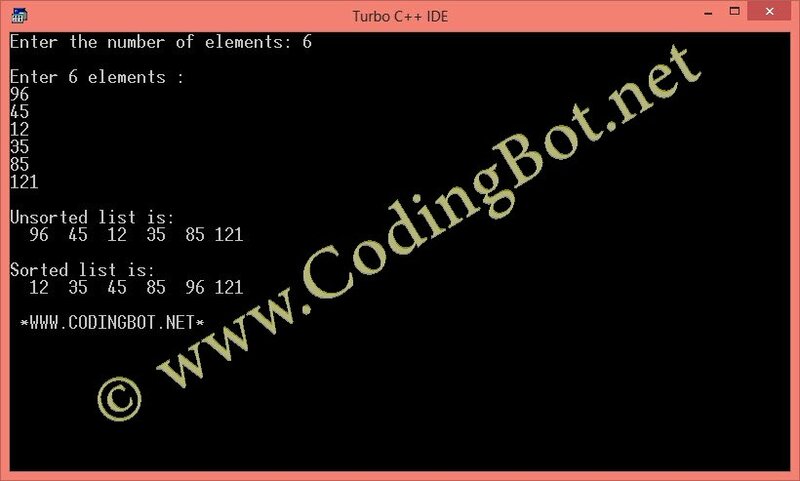 It generalizes an exchanging sort, such as insertion or bubble sort, by starting the comparison and exchange of elements with elements that are far apart before finishing with neighboring elements. Starting with far apart elements can move some out-of-place elements into position faster than a simple nearest neighbor exchange. Shellsort is a multi-pass algorithm. Each pass is an insertion sort of the sequences consisting of every h-th element for a fixed gap h (also known as the increment). This is referred to as h-sorting. Shell sort is unstable,that is, it may change the relative order of elements with equal values. It has "natural" behavior, in that it executes faster when the input is partially sorted. Using Marcin Ciura's gap sequence, with an inner insertion sort. # Sort an array a[0...n-1]. # Do an insertion sort for each gap size. 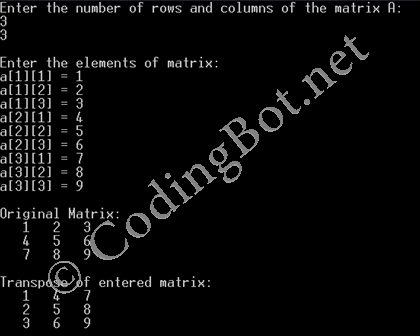 Today I'm gonna show you the C Code, to find transpose of a M x N Matrix. Heapsort can be performed in place. 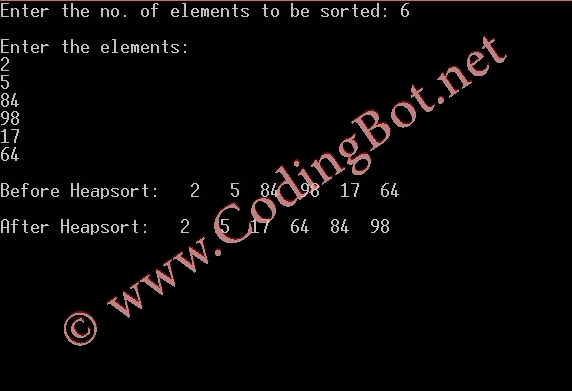 The array can be split into two parts, the sorted array and the heap. The heap's invariant is preserved after each extraction, so the only cost is that of extraction.